There’s a good chance you’re hooked on social media already. But if not, what I’m about to share with you might be news to you. What is social media? It’s like a loud, online party that everyone’s invited to. You can share your thoughts. You can repost someone else’s thoughts. You can like and comment on interesting things you find. Social networks are online communities. It’s where people go to get updated on what’s happening in the lives of those they know and those they’re interested in. It just so happens that it’s also a popular marketing tool. Here’s an overview of what you can do with it. 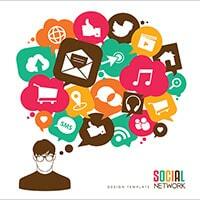 What Social Networks Are Worth Creating Accounts With? 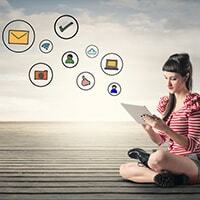 How Many Social Networks Should I Sign Up With? What Can I Post To Social Media? What Can I Do To Promote My Music On Social Media? When answering this question, I always refer to the list of the top 15 social networking sites across the web. Throughout this guide, I will mostly be referring to these sites. But this isn’t to suggest that these are the only worthwhile sites out there. But let’s not get too carried away. The number of options can be overwhelming, and it can be difficult to use all of them well at the same time. If you’re just getting started, I would recommend signing up with one or two and getting good at using them before you do anything else. 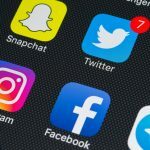 Social media is fun, but it can also be a huge time sink, and it may not even pay the bills besides (it probably won’t). 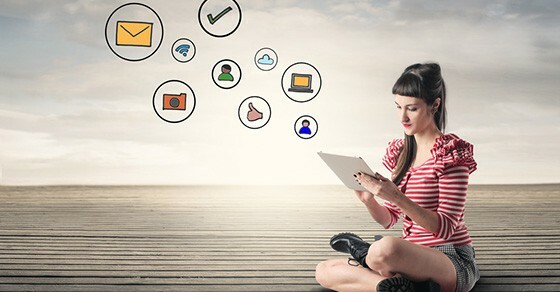 Plus, every time you set up an account with a new site, you must fill out your profile and learn how to use it to connect with people. It’s much easier to build up your following on one site and then leverage that to grow your following elsewhere than it is to create a following everywhere at once. This doesn’t mean it’s easy to build a following. It will be work. But you can keep it light and fun while you’re engaging with people, and many are attracted to that approach anyway. So, sign up with Facebook and Twitter to begin with, and get yourself acquainted with these sites. If you want to secure a username on all platforms (just so no one else gets it), then do take a moment to create an account with every social network you can find. You don’t have to do anything with those accounts – just secure them. That depends entirely on the site you’re using. From here on out, I’m just going to focus on the top four: Facebook, YouTube, Twitter, and Instagram. But once you get a feel for these, most other social networks will be a breeze for you. On Facebook, you can post text updates, pictures or images, GIFs, a feeling/activity/sticker, and videos. You can also “check in” when you’re at certain locations in your city or elsewhere. Additionally, you can use Facebook Live to live stream from your mobile device. In some ways, Facebook is one of the most versatile social networks out there. But people will rarely see everything you post, so posting the same message multiple times is not only recommended, but oftentimes necessary. YouTube is a video sharing site, and as such, the main (and only) type of content you can post to YouTube is video. 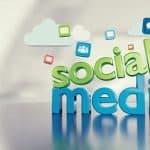 But you can link out to your website and other social profiles from your channel, and you can even upload your own cover artwork to customize the look and feel of it. I feel like I’m saying this all the time these days, but it’s worth mentioning – YouTube is the second biggest search engine right behind Google, and people now spend more time on YouTube than all other social networks combined. Should you be on YouTube? Yes. But first you need video content. Twitter is infamous for limiting your “tweets” (which are essentially the same as Facebook status updates) to 140 characters. What this means is that your text updates can’t be over a certain length. The flip side of that is that you can tweet frequently because unless people are following you closely, they’re probably not seeing most of your tweets, which disappear quickly after being published. Twitter also lets you post pictures, videos (up to two minutes and 20 seconds in length), GIFs, polls, and location related posts. Instagram is a popular photo sharing site. Unlike Facebook, engagement isn’t throttled, meaning you’ll probably get a lot more likes and comments on your photos with less effort. They allow you to post photos and quick videos, and you can even cross-post to other networks like Facebook, Twitter, Tumblr, VK, Ameba, and OK.ru using Instagram. Additionally, you can add a location and tag people in your posts. Instagram lets you create a profile for your account, but you can only supply a photo, a link to your website, and a short bio. Getting people to check out your profile is the real trick, because until then, they’ll only be interacting with your photos or videos and won’t be doing anything else (like visiting your website). Social media can be used in a variety of ways. First and foremost, remember to keep it fun. People are naturally drawn to positive, funny, and beautiful, eye-catching things. But there’s no question social media is also great for marketing. 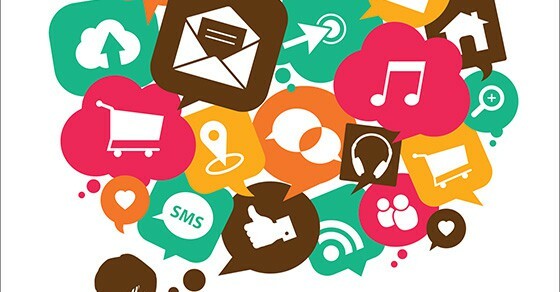 Here are some ideas on how you can promote your music using the top four social media sites. Here are some quick ideas on how you can promote your music on Facebook. Keep in mind that this isn’t a comprehensive list by any means. There are so many more ways to leverage this popular platform. Post updates regularly. Share something new three or four times per day. It doesn’t have to pertain to your music – it could be a blog post, a picture from your hangout session, a funny video, a status update letting your fans know where you’re going to be, and so on. Use unique cover art on your page. You could put your tour dates in it, or even a link to your latest release. Go live. Stream a performance, give a behind-the-scenes look into your rehearsals, do a Q&A, or “air band” your way through your latest release. Upload your videos. Take your YouTube videos and upload them to Facebook as well. More on video content later. Interact with others. You can like, share, and comment on other people’s posts as your fan page (by the way, yes, do create a fan page in addition to your profile). Do this regularly – it can boost your page’s visibility. These days, it can take time to build up your YouTube channel. If you commit to uploading new content on a weekly basis and stay at it for longer periods of time, you should see good things happen. Vlog. Share about the latest happenings in your life and music career. Make lyrics videos. This is the type of video where your music is set to the lyrics from your song. Visuals can take a variety of forms, but if you’re making the video yourself, just keep it simple. Make music videos. They don’t need to be masterpieces when you’re first getting started. Get some footage, put it to a beat, and edit it until it looks good. Show off your gear. Show others what you’re using to get the sounds you’re achieving (guitars, effects, drum sticks, microphones, etc.). These days, Twitter is more of a broadcast channel than anything else. You can still use it to interact with others and make connections, though unfortunately many people aren’t using it that way. Share updates. Are you headed into the studio? Will you be playing this Saturday? Are you about to release a new single? Let your fans know what you’re up to and what’s to come. Share blog posts. Twitter is where all the breaking news appears. Sharing links to your blog posts or content on your website is not only accepted but expected. Poll your audience. This is mostly just a fun way to engage your audience. For instance, you could ask them what your brand color should be, provide them with a few options, and let them have a part in shaping your artistic future. Retweet. When you find something interesting someone else has shared, retweet it. This will send out the same post to your followers. Interact. Talk to people on Twitter. Reply to their tweets. If they ask you a question, answer them. This feature is underutilized these days, but it’s a great way to build real connections online. Realistically, there are only a few things you can do on Instagram to promote your music. Complete your profile. Nobody is going to find your music or website if you don’t fill out your profile. It only takes a second. Find a photo of yourself, create a brief description, and link up your website. Post a photo. This is the primary way to engage others on Instagram. I would suggest using at least 30 hashtags in your posts to maximize reach. Post multiple times per day if you can. Post a video. You can only post quick videos to Instagram. But quick, spontaneous videos can work well. Post an image. Find quotes that inspire you and use an app like Canva to create a shareable image on Instagram. I would suggest making your own images or graphics instead of borrowing from elsewhere. Don’t just search up images on Google and download them. Those images probably belong to someone else, and they might come after you if they see you’ve used their image without permission. Interact with the community. This is something most people do very poorly. Liking other people’s photos is easy to do. Using a comment also isn’t that hard. But I would suggest leaving a relevant comment unlike what most people do. I understand. Many artists concern themselves with how they appear, how they sound, whether they should be posting something controversial, if they should put their music out on the internet, and so on. My main piece of advice here is to not worry too much, unless you’re doing something extreme. When you first get onto social media, no one will be paying attention to you. And unless you start sharing regularly, it’s unlikely you’ll grow your following. 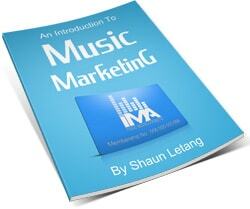 Many artists stop themselves from getting anywhere in their marketing because they become paralyzed by analysis. I promise – once you get going, it will be a lot of fun. Your phone won’t blow up. Your head won’t explode. You won’t have to sign away your firstborn. You could end up with some haters though. Some people may criticize you. That’s okay – if they have time to do that, it probably means they aren’t doing anything worthwhile with their lives. You’re the one putting yourself on the line. You’re being brave. People that put you down are cowards. They aren’t sharing themselves with the world, and they’re insulating themselves from the world they perceive as being cruel and unfair. Creating your accounts and getting set up is the easy part. That’s why I haven’t covered how to do that here. I would, however, suggest filling out your profiles in full no matter what social networks you end up using. This has many benefits and can help your visibility on other social networks and in search engines. Once you get going, just keep publishing. You won’t see any traction for a while so don’t worry about that. Just keep growing and evolving. Get better at what you do. If you’re doing something noteworthy, people will start following.